Besides community, the key ingredient of the best coworking space, chillout zones are of great importance as well. Actually the chillout zones are very important elements for coworking space. Generally speaking, coworking spaces consist of freelances, startups, entrepreneurs… and etc. Those people ,they would like to have a space for talking on the phone about their business; on the other hand, they need a space for relaxing doing nothing or communicating with other coworkers. Hence, the chillout zones are here with these functions. Considering the significance of the chillout zones, Lionel (CEO of Coolwork) and his interior designer, they decided to have several chillout zones in Coolwork. 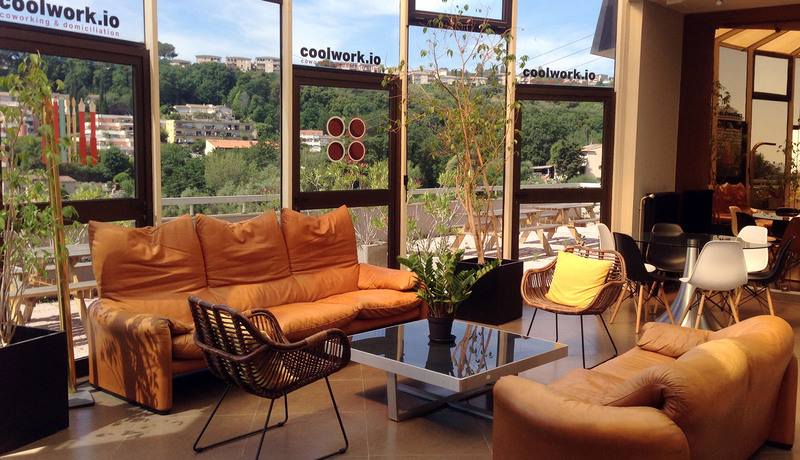 Coolwork is coworking space, located at Villeneuve Loubet in French Riviera. It is a space with 550 sqm, two floors. There are two chillout zones at the first floor. One is close to the main entrance and the terrace, with several sofas and cute chairs and two tables. The other is just inside the openspace with two sofas and a small desk. Whenever you want to get some relax, you can find a suitable place to do so. At the -2 floor, there are also two chillout zones. One is with two seats and a desk at the corridor; the other is at the hall of the private offices area with a meeting table and some chairs, and two sofas as well. In addition to chillout zones, there is a yoga room available at the -2 floor. As people sometimes need relax not only their mind but also their body.